Redline twin carby bigport Manifold - With head to suit. Thread: Redline twin carby bigport Manifold - With head to suit. 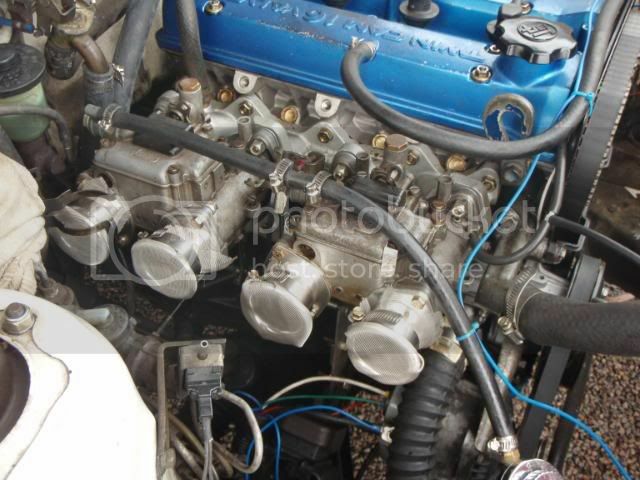 For sale: Redline twin carby bigport Manifold - With head to suit. Item Description: Fits Bigport 4A's to fit 40mm webers/dellortos etc. Other Information: I will throw in a bigport head, with the injector ports plugged up already. Bare head though, does not have buckets and shims or cams or covers.